Sisu has promised it will drop legal action against the council if it has support to build a home in the city. In a letter also signed by Conservative leader Gary Ridley, Duggins said there was cross-party support in the council, adding "the never-ending and drawn out litigation must be dropped". It continued: "As well as being divisive, the time and cost to taxpayers in this city in defending litigation that has consistently been found in our favour over a number of years, is both disruptive and distracting. "The costs, opportunity cost and corrosive impact on partnership working is the reason why we are so adamant this process needs to end, a view we know is shared by Wasps. It is in Sisu's hands alone to make this happen. 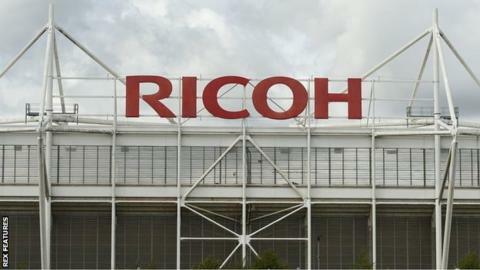 "We want to see the football club playing in the city, preferably at the Ricoh Arena. However, if the club's owners do not want or cannot pursue that option, we want to reiterate that we are willing to work with the owners of the football club to secure a future within the city."